In this new year many of us are pondering our lives and nurturing a renewed determination to achieve some goals. Before one can build a bridge to the future we must let go of the past. 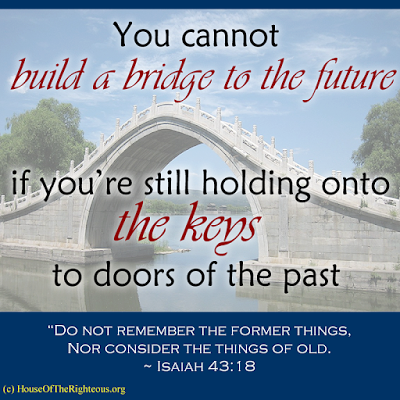 Are you holding onto the keys to doors of your past? Consider locking those doors for good and throwing away the keys. 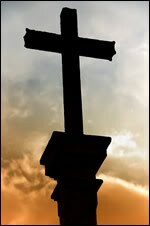 * If you need to repent before God, ask for forgiveness, don't waste another moment. Do it. * If you are harboring bitterness, unforgiveness, or offense, you can choose to let that go as well. * If you need to forgive yourself for some mistake or indiscretion in the past, do it. It's only when we break the chains to our past that we can clearly see the future and be free to pursue it. Once you've locked the doors, changed the locks and tossed the keys to your past, be aware that you also shouldn't allow other people to drag you back into your past errors. If God has forgiven you and no longer thinks on your past, that should be good enough for you... and others too.